I love a good berry jam or jelly. My mother used to always make big batches of strawberry jam and raspberry jelly when the berries were in season to keep through the winter. It was an annual ritual for previous generations. Unfortunately, canning large quantities can be time consuming so a lot of people don’t do it anymore. I’ve been making do with jams I find at various shops or markets but it occured to me that it’s actually pretty easy to make small batches for immediate consumption (I do not include instructions for canning large quantities but you can easily find information if you’re interested in doing so. See http://www.pickyourown.org/jam.htm). Now that strawberries are in season, what could be better than fresh jam and hot biscuits? I don’t put very much sugar in mine as I like the fresh taste of the berries to shine through. However, if you prefer a sweeter jam, adjust sugar to taste. 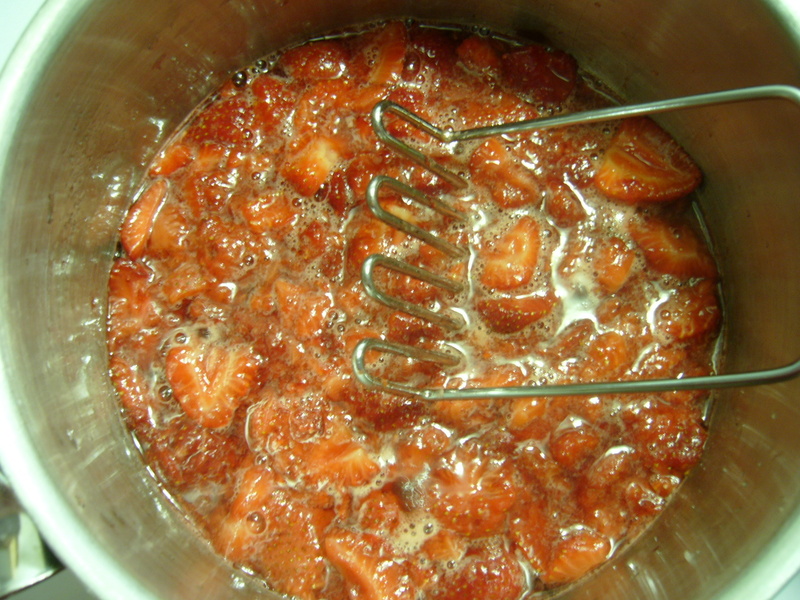 Place berries, sugar and water in a large saucepan. Heat berries on medium-high until mixture begins to simmer and the berries are begining to cook down (approx. 7 minutes). Using a potato masher, lightly mash berries. Reduce heat to medium and add pectin. Cook on a gentle simmer until it begins to thicken, approximately 30 minutes. Stir mixture and bring to a boil for approximately 5 minutes. Keep stirring it so it doesn’t burn on the bottom. Spoon jam into a small bowl and refrigerate until ready to use. It will get thicker as it cools. It will keep covered in the fridge for a few days. 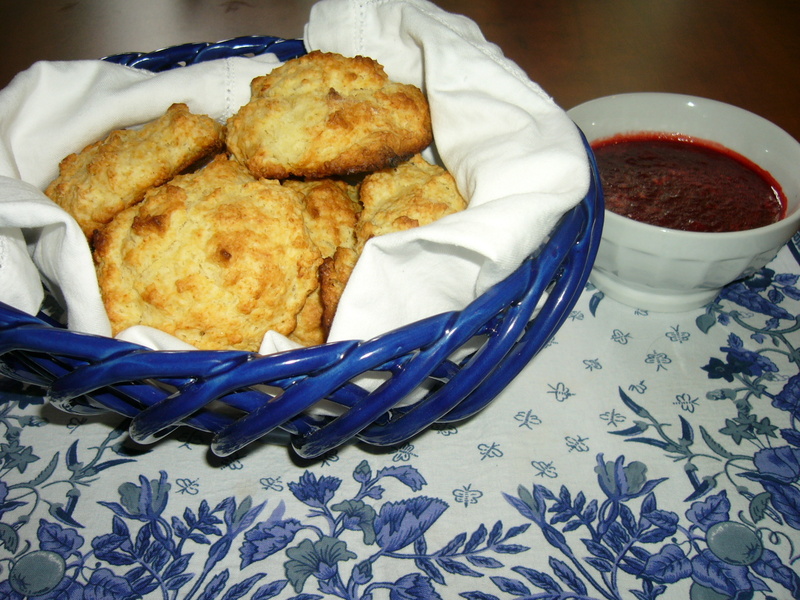 Serve on toast or with fresh baked drop biscuits (recipe follows). These biscuits are very easy – no rolling required. They are best eaten hot out of the oven with butter or jam. Preheat oven to 425 degrees Fahrenheit. Grease a cookie sheet with butter and set aside. 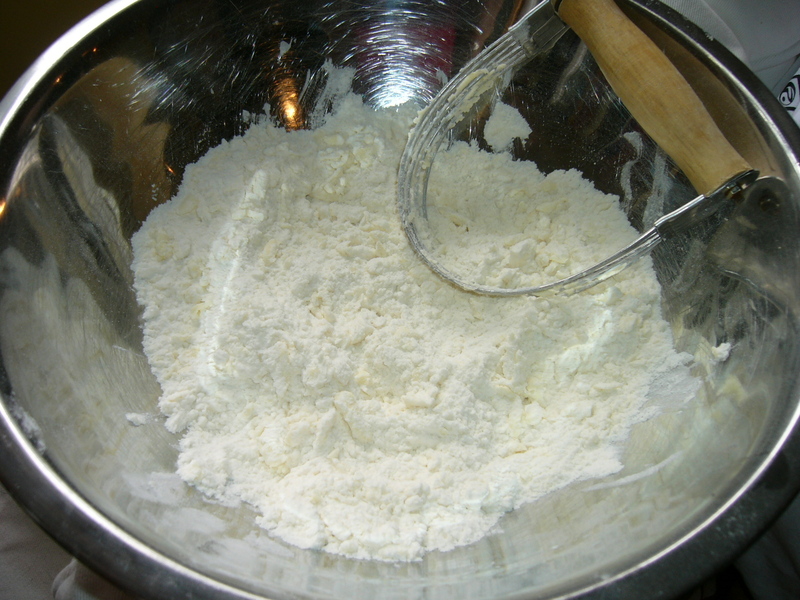 In a large bowl, stir together flour, sugar, baking powder, salt and baking soda until combined. Add milk and stir into mixture until combined – dough mix will be quite wet. Using a 1/4 cup measuring cup, scoop up a large spoonful of dough mixture and drop onto cookie sheet. Repeat to make six biscuits. Bake until golden brown on top, approximately 15 minutes. Enjoy hot out of the oven with fresh jam. *If you do not have a pastry cutter, you can use two sharp knives to cut the butter into the dough.